One of the most important issues when you publish content online is plagiarism. People often copy and paste your content on other websites and blogs. While Google does take action on plagiarized content, sometime these sites rank better than the original website. So there should be a mechanism to check for plagiarized content. One of the most popular service is Copyscape. It is an online plagiarism detection service that checks whether similar text is available elsewhere. In this post, we will have a look at some of the best Copyscape alternatives to check for plagiarized content available online. Some of these services allow document to be uploaded to check plagiarism. So here is the list of best copyscape alternatives. Plagiarisma is a good alternative to CopyScape and lets you check plagiarized content online. The tool will detects copyright infringement in your articles, blog posts, research paper, coursework or any other dissertation. The service supports Google, Yahoo, Babylon, Google Scholar and Google Books. You can either enter a specific text or use the URL to check for plagiarism. Plagium is yet another alternative which offers solution to check plagiarized content online. 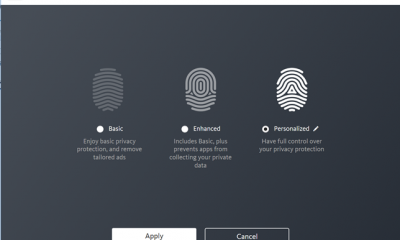 It offers quick search, deep search and file comparison. While the quick search is free for limited queries, they charge 0.04$ per page for quick queries, 0.08$ per page for deep search and 0.005$ per page for comparison. The deep search option provides an additional levels of plagiarism search and also extra display tools. DupliChecker.com is yet another plagiarism checker online which is free to use. You just need to paste the text you want to check for any plagiarized content and it provides you with the results. You can also upload the docx file in case you want to check the contents of a document. The service is free and registered users enjoy up to 50 free searches a day and if you do not want to register you get only one per day. 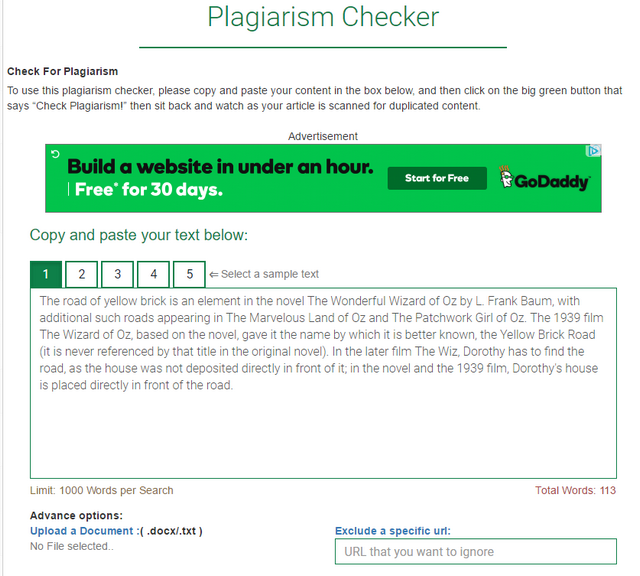 Plagiarism checker from Small SEO Tools offers a good online checker for plagiarized content. You can either paste the text or upload a document to check the contents online. There is also an option to exclude a particular website from the search in case you feel it is genuine. The service checks for content sentence by sentence across various search engines. It also offers a WordPress plugin. CopyGator is an useful service for bloggers and it can monitor the RSS feed of your blog or website and find where your content has been republished. It will notify you when it finds any plagiarized content online. You just need to provide the RSS feed of the website you want to monitor and it will notify you. This service is particularly useful for blogs with RSS feed. and also across 20.000 scientific journals and shows you the results. The report will show the plagiarized text, potential plagiarism and citations and they are highlighted in the results. It is mainly used by academic institutions. Plagiarism Detector is the free service where you can enter the text, upload a document or enter the URL to check for any plagiarized content. 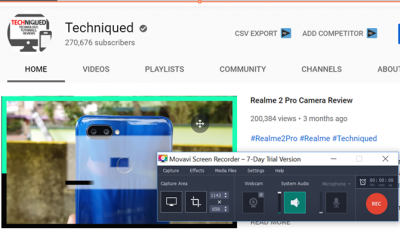 It will also show the results in Checked, Unique, and Plagiarized formats beside the text checked so that you get an idea about the amount of content plagiarized in any article. The Plagiarism Checker is another useful website to check your content online. You can either enter text, or use a URL or upload documents to the service as all the three options are supported. The plagiarism checker works by the help of a program that has been designed to automatically scan your search along with all the links of the websites over the entire internet and giving you results quickly. These are some of the useful and best Copyscape alternatives worth trying. Thanks for listing down useful websites for checking Duplicate content.